Using the latest 3D Cad software, Catten Industries can produce sheetmetal developments and flat patterns to ensure quality products from the outset. 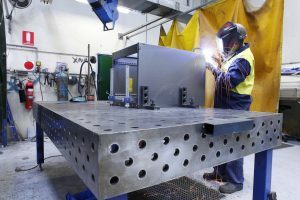 With a talented in house Engineering team, combined with over 100 years of Sheetmetal and Metal Fabrication industry experience, our team can provide solutions for your sheetmetal requirements, ensuring a Quality product and competitive methods of manufacture, giving comfort that you are getting best value for money and enabling your products to be fit for purpose and ready for use. 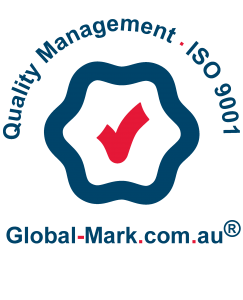 Regardless of your product size or shape, Catten will do everything to ensure product integrity when delivering and distributing items throughout Australia and Overseas. Established in 1994 to provide a quality sheet metal fabrication service to a variety of industries, Catten is proudly owned and operated by Ian and Latinka Cubitt and their family……..
Catten provides in-house services from design to delivery, allowing Catten to have complete control over the manufacturing process. This allows for flexibility in meeting complex customer requirements using the latest CNC sheet metal manufacturing technology and machinery. Keep up-to-date with new product releases, innovative industry changes and more with our News sections. “I would like to thank you for your service this year, it has been perfect!! Very happy indeed.” Customer satisfaction is our priority at Catten.. Managing your project from the early design and prototype stage, through manufacturing, metal finishing, assembly and packaging. Our modern facility incorporates our design and development division, which can manage your sheet metal project from concept to completion. Our factory has the right machinery, operated by highly skilled staff, making sure that whatever the product, it is made to the highest standards for our valued customers.